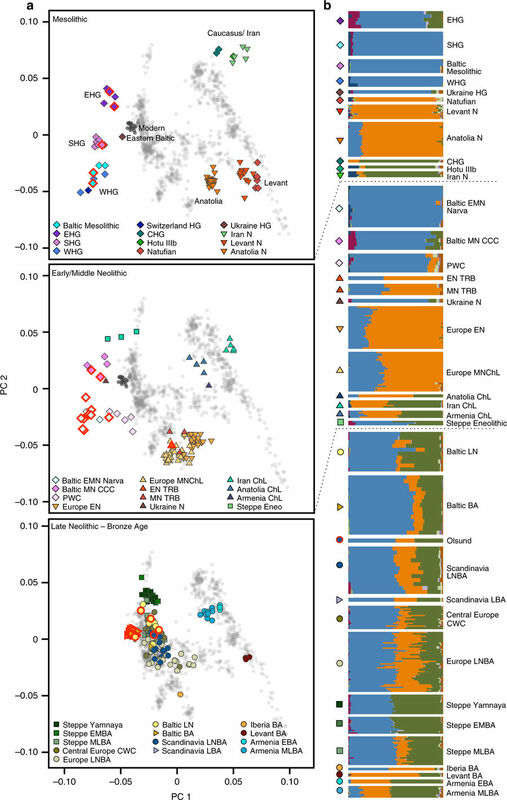 Open article at Scientific Reports (Nature): Identification and analysis of mtDNA genomes attributed to Finns reveal long-stagnant demographic trends obscured in the total diversity, by Översti et al. (2017). 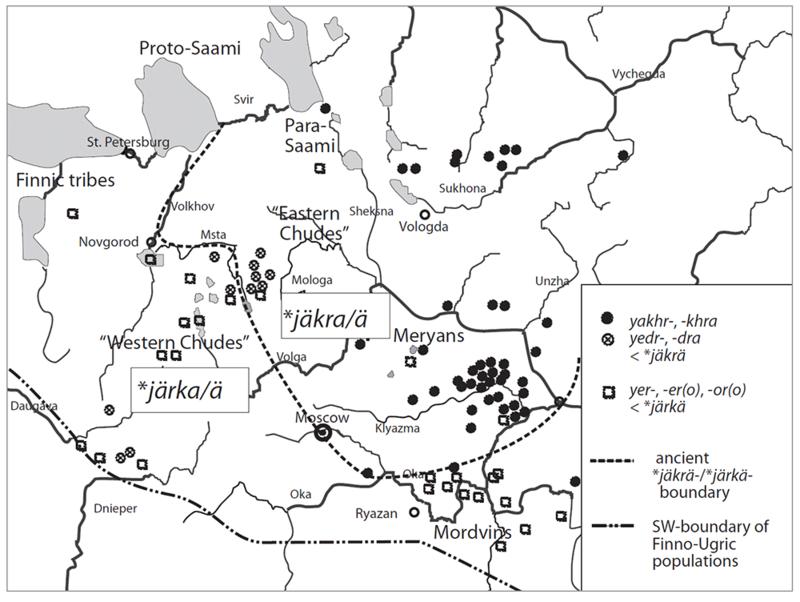 Of special interest is its depiction of Finland’s past as including the expansion of Corded Ware population of mtDNA U5b1b2 (and probably Y-DNA R1a-M417 subclades), most likely Uralic speakers of the Forest Zone, to the north of the Yamna culture (where Late Proto-Indo-European was spoken). 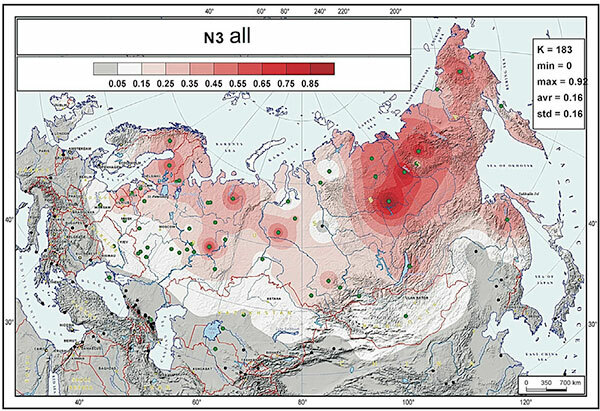 A later expansion of other subclades – particularly Y-DNA N1c -, was probably associated with the later western expansion of the Eurasian Seima-Turbino phenomenon, and its current prevalence in Finnish Y-DNA haplogroups might have been the consequence of the population decline ca. 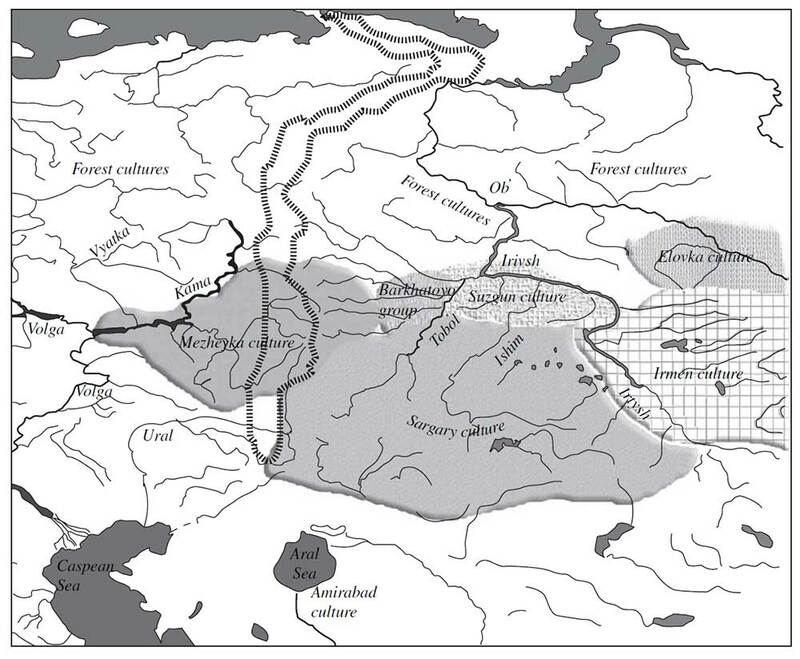 1500 BC, and later Iron Age population bottleneck (with the population peak ca. 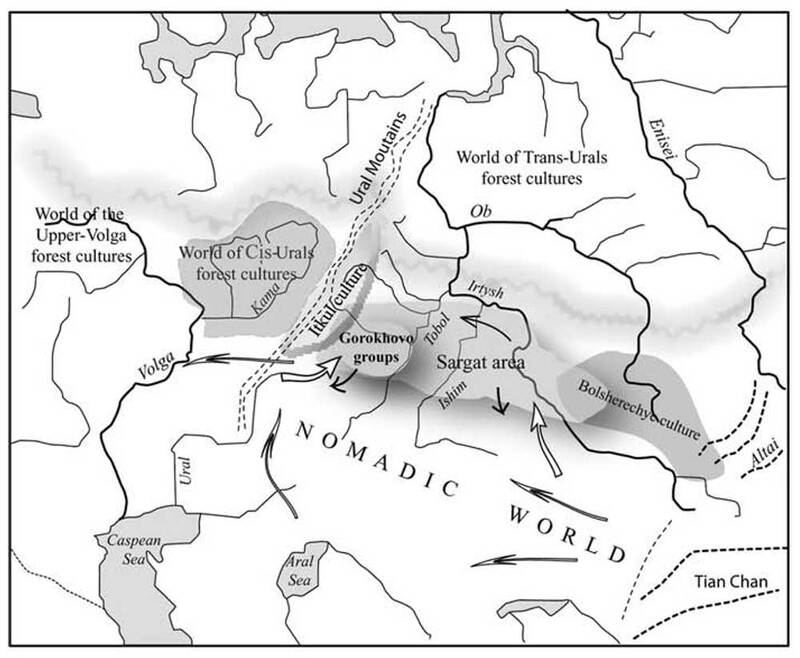 500 AD) described in the article. 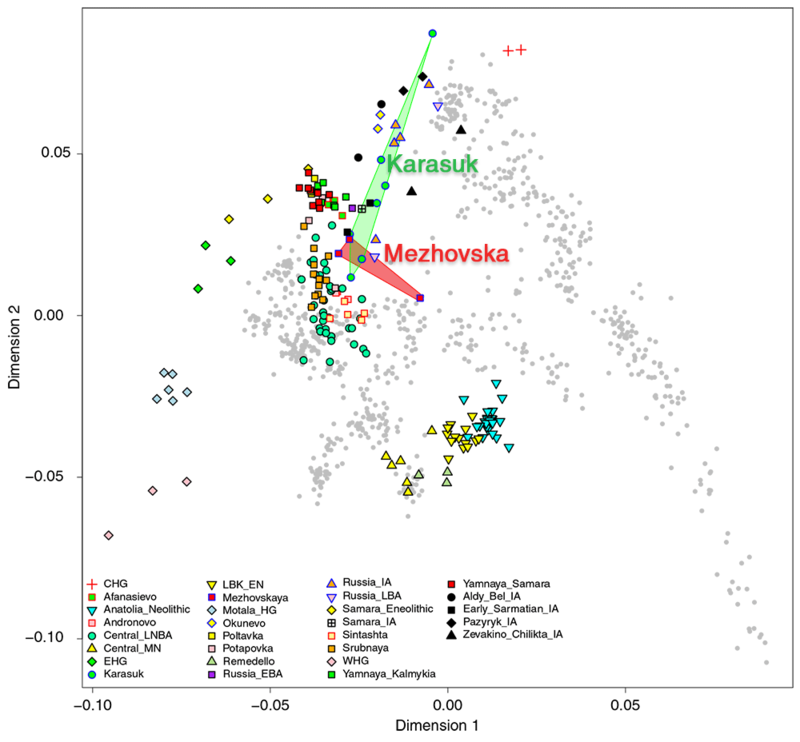 That would more naturally explain the ‘cultural diffusion’ of Finnic languages into invading eastern N1c lineages, a diffusion which would have been in fact a long-term, quite gradual replacement of previously prevalent Y-DNA R1a subclades in the region, as supported by the prevalent “steppe” component in genome-wide ancestry of Finns. 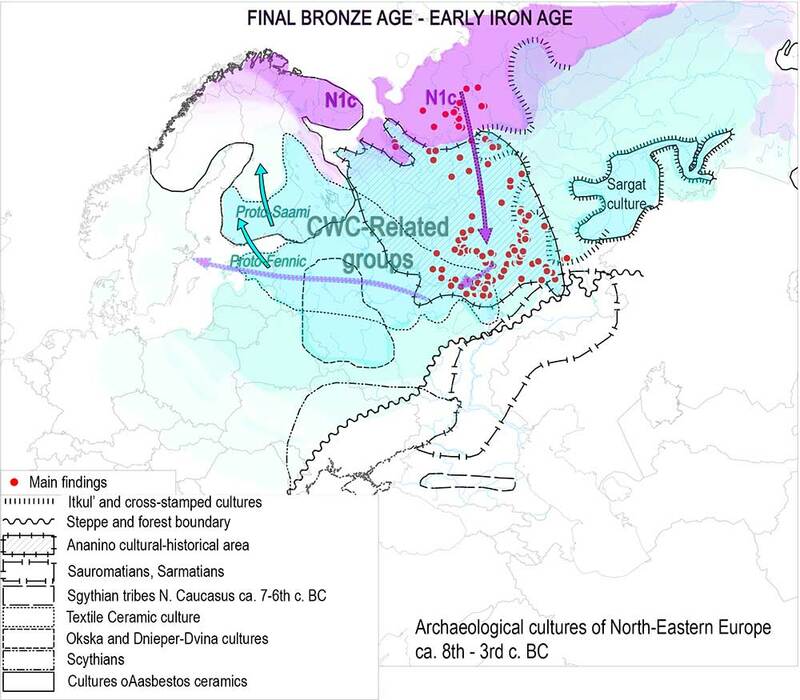 Therefore, there were probably no sudden, strong population (and thus cultural) changes associated with the arrival of N1c lineages, like the ones seen with R1a (Corded Ware / Uralic) and R1b (Yamna / Proto-Indo-European) expansions in Europe. 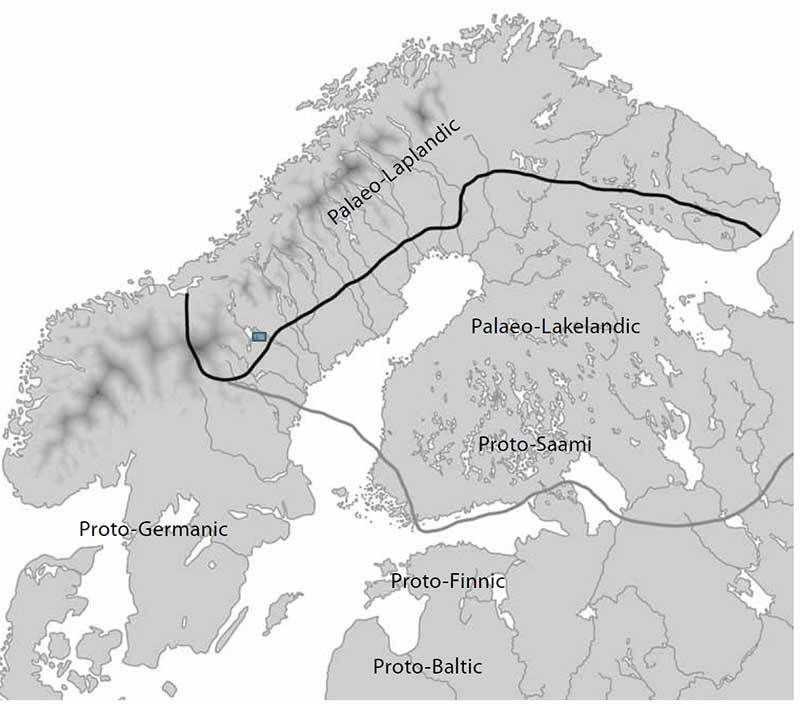 How the Saami fit into this scheme is not yet obvious, though. 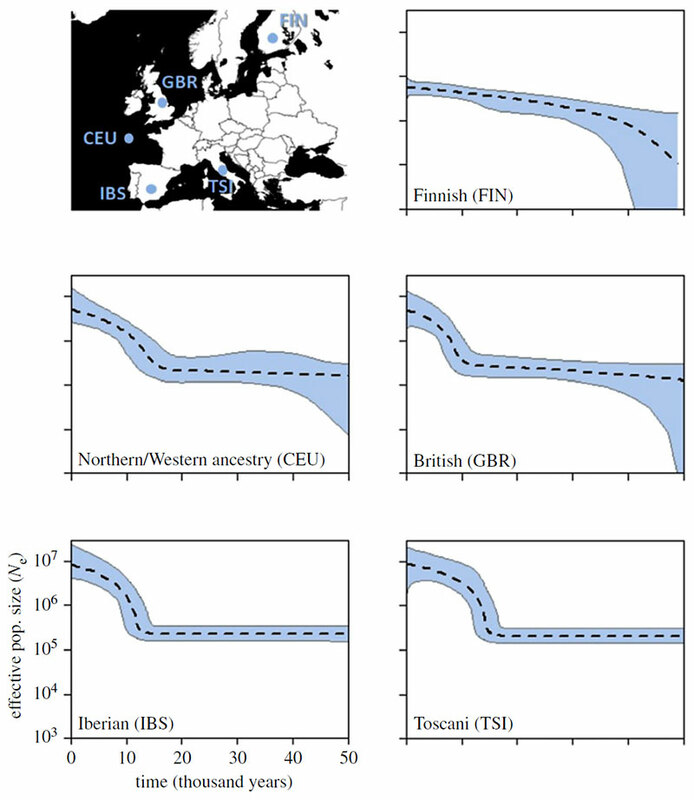 In Europe, modern mitochondrial diversity is relatively homogeneous and suggests an ubiquitous rapid population growth since the Neolithic revolution. 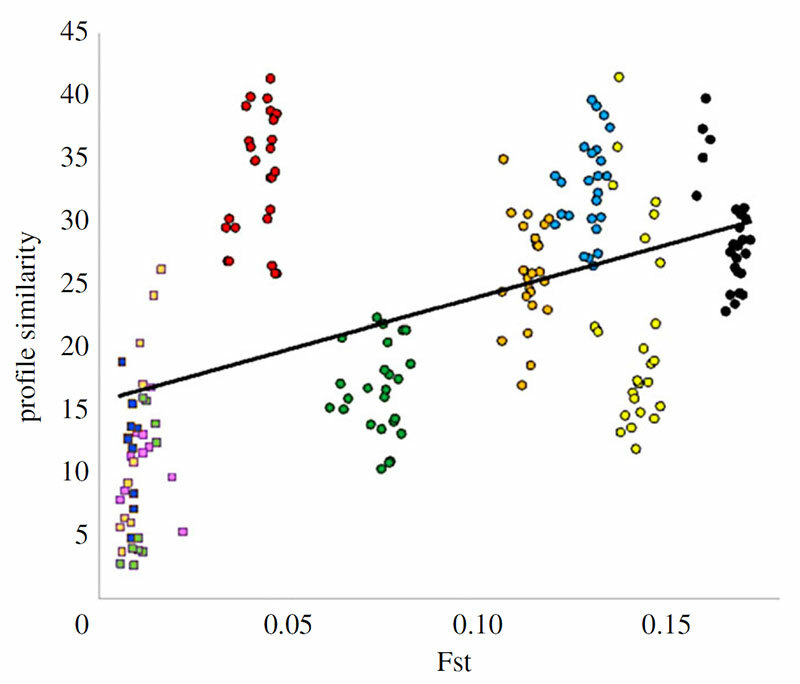 Similar patterns also have been observed in mitochondrial control region data in Finland, which contrasts with the distinctive autosomal and Y-chromosomal diversity among Finns. 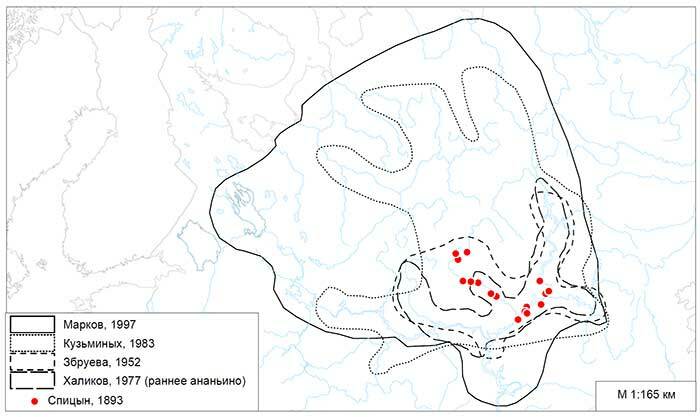 A different picture emerges from the 843 whole mitochondrial genomes from modern Finns analyzed here. 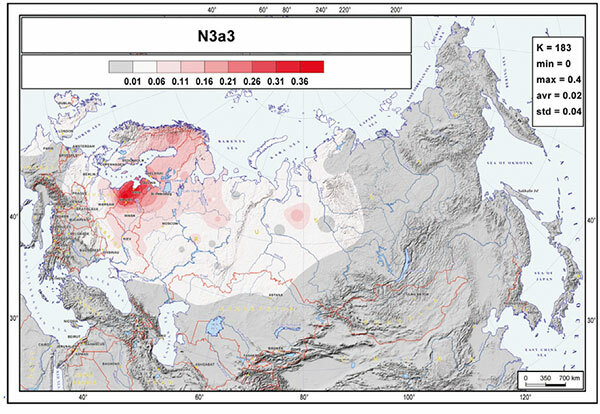 Up to one third of the subhaplogroups can be considered as Finn-characteristic, i.e. rather common in Finland but virtually absent or rare elsewhere in Europe. 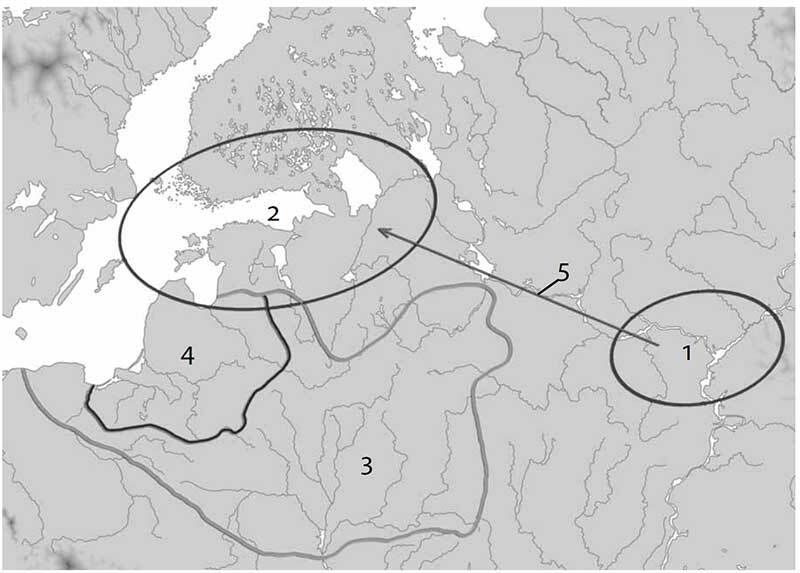 Bayesian phylogenetic analyses suggest that most of these attributed Finnish lineages date back to around 3,000–5,000 years, coinciding with the arrival of Corded Ware culture and agriculture into Finland. 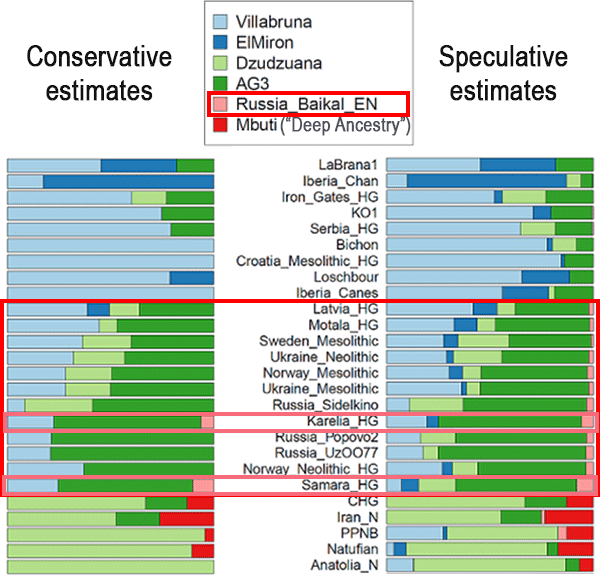 Bayesian estimation of past effective population sizes reveals two differing demographic histories: 1) the ‘local’ Finnish mtDNA haplotypes yielding small and dwindling size estimates for most of the past; and 2) the ‘immigrant’ haplotypes showing growth typical of most European populations. 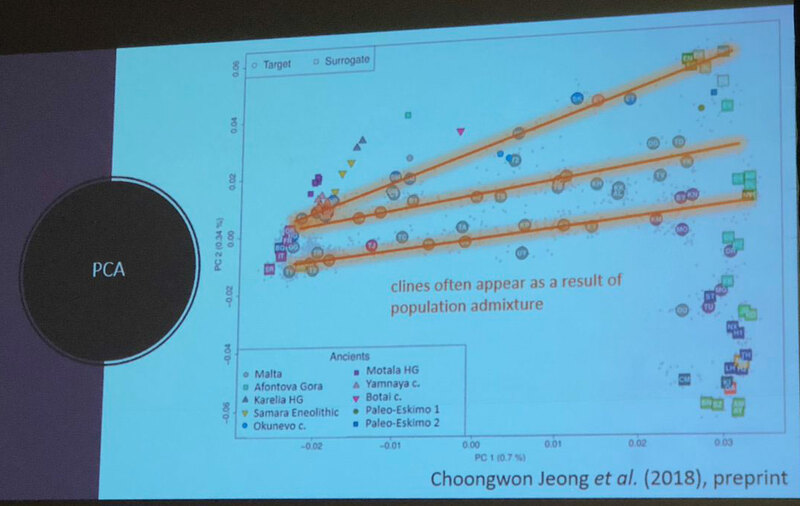 The results based on the local diversity are more in line with that known about Finns from other studies, e.g., Y-chromosome analyses and archaeology findings. 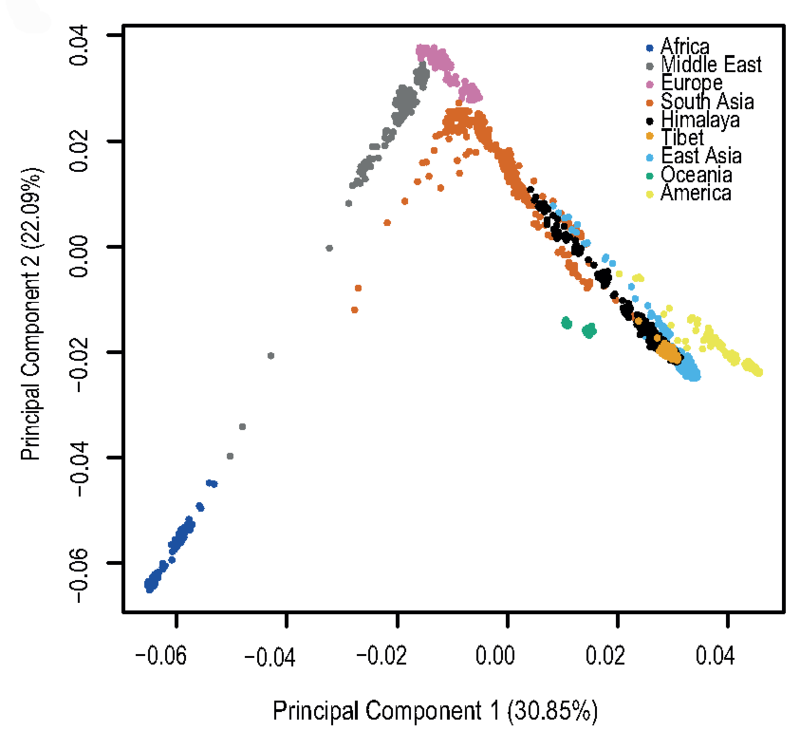 The mitochondrial gene pool thus may contain signals of local population history that cannot be readily deduced from the total diversity. 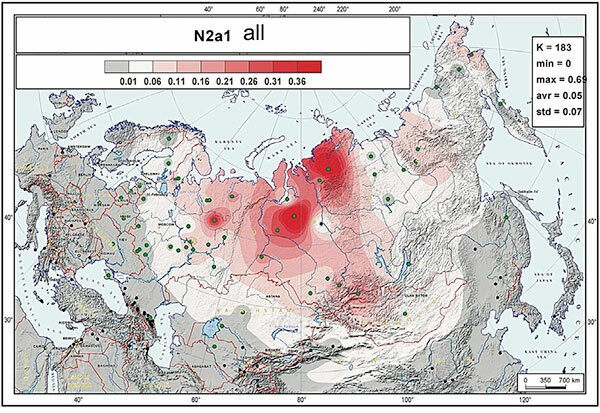 In general, there appears to be two loose and largely overlapping clusters among the Finn-characteristic haplogroups: the first between 1,000–2,000 ybp and the second around 3,300–5,500 ybp. 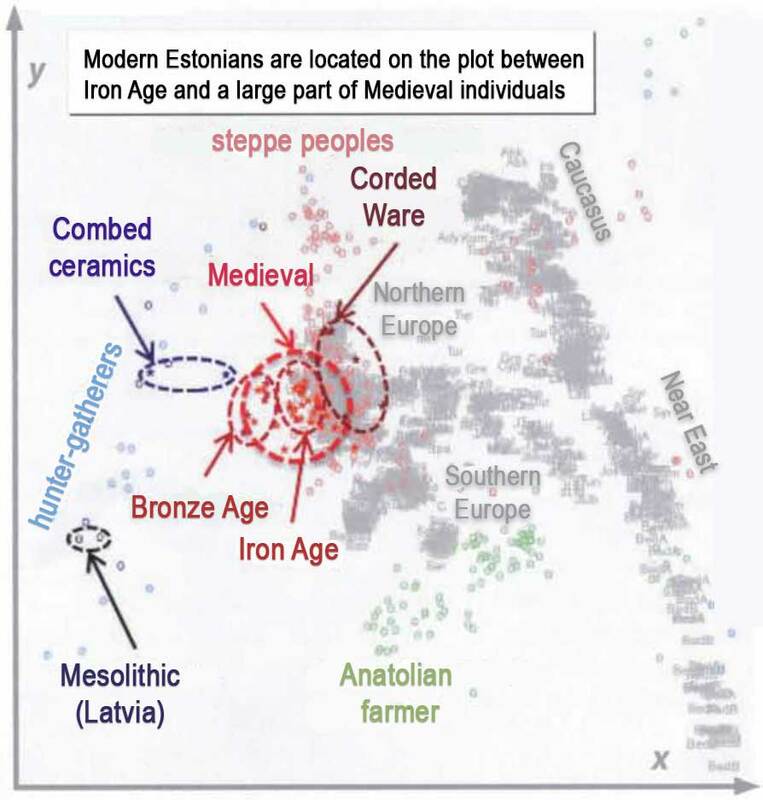 The age of the older cluster coincides temporally with the arrival of the Corded-Ware culture and, notably, the spread of agriculture in Finland. 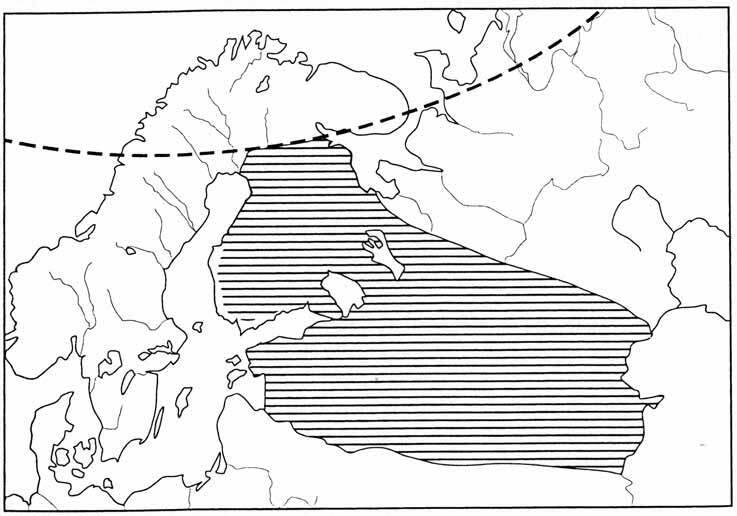 The arrival and spread of agriculture, temporally corresponding with the age estimates for most of the haplogroups characteristic of Finns, might be a sign of population size increase enabled by the new mode of subsistence, resulting in reduced drift and accumulation of genetic diversity in the population. 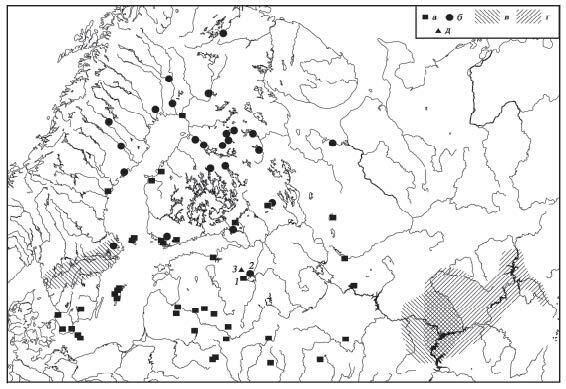 Another insight in the past population sizes in Finland is based on radiocarbon-dated archaeological findings in different time periods. 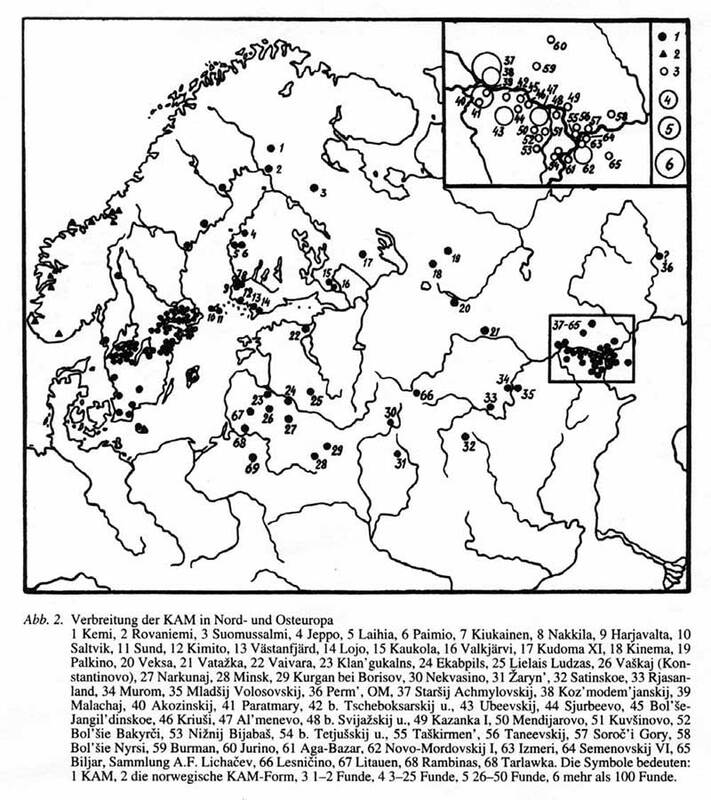 These analyses suggest two prehistoric population peaks in Finland, the Stone Age peak (c. 5,500 ybp) and the Metal Age peak (~1,500 ybp). 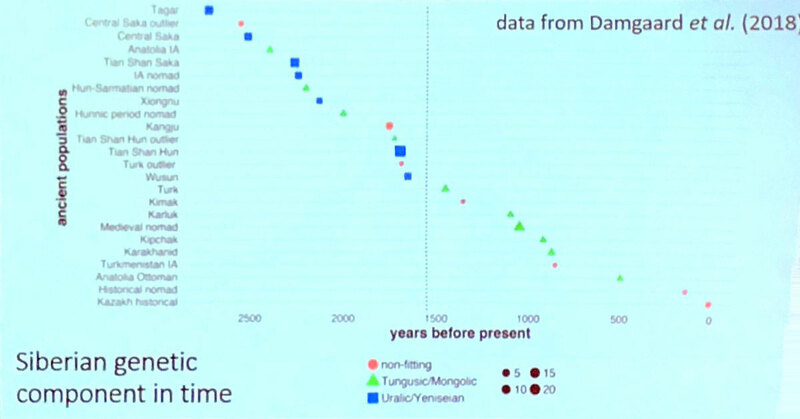 Both of these peaks were followed by a population decline, which appears to have reached its ebb around 3,500 ybp. These developments are not distinguishable in the BSPs. 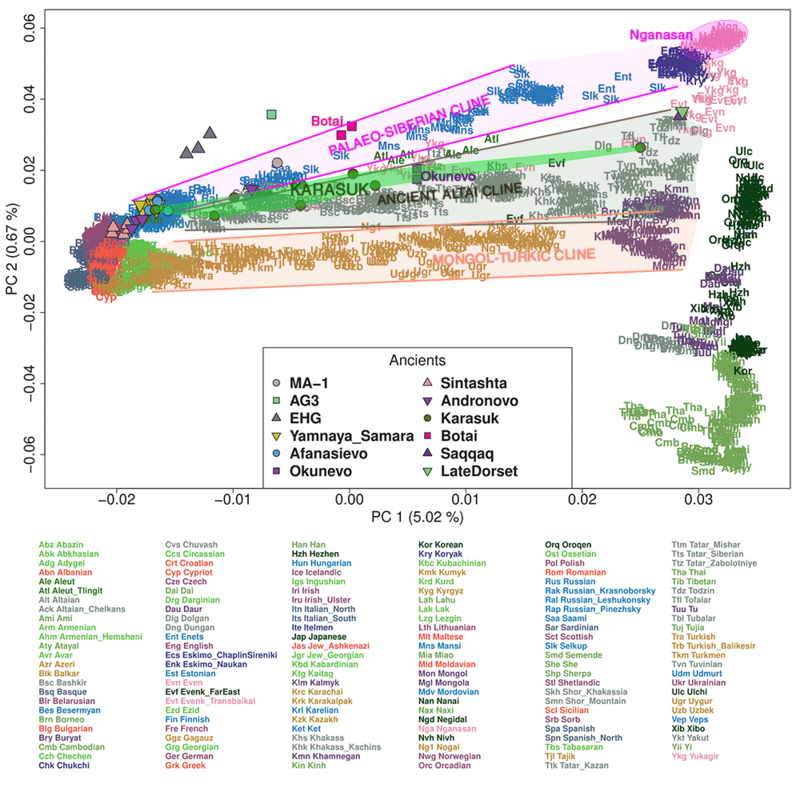 However, these ages correspond well to the two haplogroup age clusters described above. 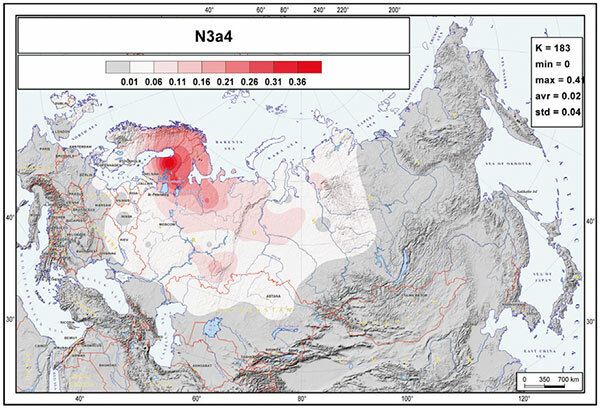 The presumably less severe Iron Age population bottleneck seen in the archaeological data, 1,500–1,300 ybp, temporally coincides with the population size reduction visible for the Finn-characteristic subhaplogroups. WordPress Translation Plugin – now using Google Translation from and into Swedish, Finnish, Danish, Norwegian, Polish, Czech, Romanian, Bulgarian, Hindi, Arabic, Japanese, Chinese, etc. The latest improvements added to the Indoeuropean Translator Widget have been included in the simpler WordPress Translation Plugin available in this personal blog. It now includes links to automatic translations from and into all language pairs offered by Google Translation Engine, apart from other language pairs (from individual languages, like English or Spanish) into other online machine translators, viz Tranexp or Translendium. Available language pairs now include English, Arabic, Bulgarian, Catalan*, Czech, Chinese (traditional/simplified), Welsh*, Danish, German, Greek, Spanish, Persian*, French, Hindi, Croatian, Icelandic*, Italian, Hebrew*, Latin*, Korean, Hungarian*, Dutch, Japanese, Norwegian (Bokmål), Polish, Portuguese (Brazilian Portuguese*), Romanian, Russian, Slovenian*, Serbian*, Swedish, Finnish, Tagalog*, Turkish* and Ukrainian*. Rhetoric (Wikipedia) is the art of harnessing reason, emotions and authority, through language, with a view to persuade an audience and, by persuading, to convince this audience to act, to pass judgement or to identify with given values. The word derives from PIE root wer-, ‘speak’, as in MIE zero-grade wrdhom, ‘word’, or full-grade werdhom, ‘verb’; from wrētōr ρήτωρ (rhētōr), “orator” [built like e.g. wistōr (<*wid–tor), Gk. ἵστωρ (histōr), “a wise man, one who knows right, a judge” (from which ‘history’), from PIE root weid-, ‘see, know’]; from that noun is adj. wrētorikós, Gk. ρητορικός (rhētorikós), “oratorical, skilled in speaking”, and fem. wrētorikā, GK ρητορική (rhētorikē). According to Plato, rhetoric is the “art of enchanting the soul”. Sophists taught that every argument could be countered with an opposing argument, that an argument’s effectiveness derived from how “likely” it appeared to the audience (its probability of seeming true), and that any probability argument could be countered with an inverted probability argument. Thus, if it seemed likely that a strong, poor man were guilty of robbing a rich, weak man, the strong poor man could argue, on the contrary, that this very likelihood (that he would be a suspect) makes it unlikely that he committed the crime, since he would most likely be apprehended for the crime. They also taught and were known for their ability to make the weaker (or worse) argument the stronger (or better). 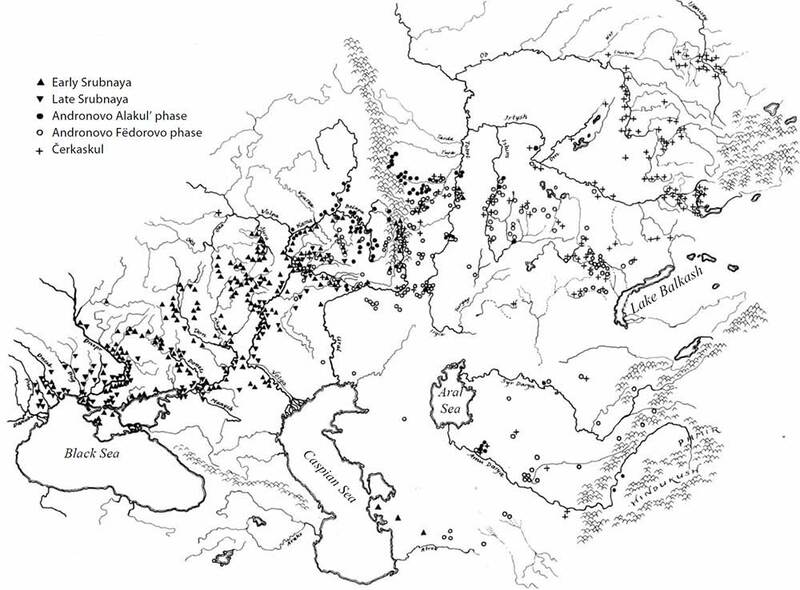 About Proto-Indo-European language revival for Europe, thus, it is difficult to ascertain if it is the most rational choice, as it is to ascertain if liberal thoughts are more rational than conservative ones. I have lived in other countries within the European Union, and have visited other parts of Spain where the spoken language is not Spanish; from that experience, the different attitudes I’ve found are overwhelming: when you speak in English or German anywhere in Europe, the conversation is everything but fluent; also, if you speak English in the UK, German in Germany, French in France, or Czech in Czechia, even mastering quite well the regional language, you’ll never get the same reaction as if a Catalan (from a Catalan-speaking region) speaks Spanish in, say, Galicia (a Galician-Portuguese speaking region), as both use a language (Spanish) common to both of them. That was also the idea behind the first Esperanto out there, probably Volapük, and it has been the idea behind every conlang trying to be THE International Auxiliary Language since then; and none has succeeded. That was also the idea behind Hebrew revival in Israel, for speakers of a hundred different languages living in the same territory: they had other modern, common languages to choose instead of an ancient, partially incomplete, and “difficult” (in Esperantist terms) one, too, and it succeeded. The rest of known language revivals, like Cornish or Manx, or even e.g. 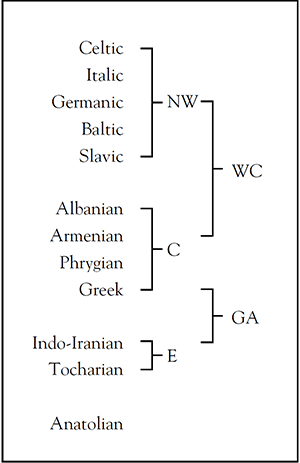 the partial revival (“sociolect”) of Katharevousa Greek, not to talk about the so-called “revivals” – in fact “language revitalizations” – of Basque, Catalan, Breton, Ukrainian, etc. have been just regionally oriented language (or prestige + vocabulary) revivals with cultural or social purposes. 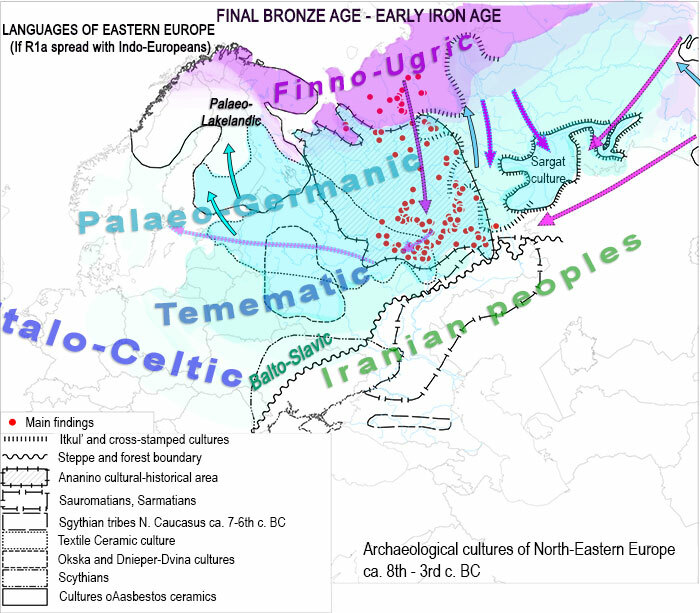 1) Did Proto-Indo-European exist? i.e. can we confidently consider any proto-language something different from especulation or mere unproven hypothesis? The answer is “it depends”. 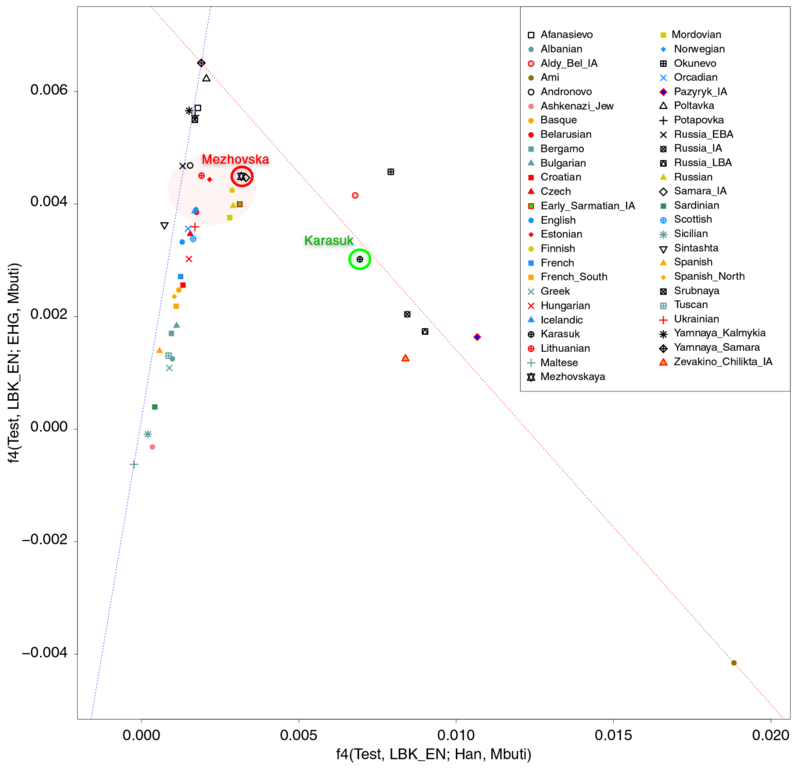 Proto-Indo-European was probably a language spoken by prehistorical people, as probable as any generally accepted scientific theory we can support without experimental proofs, like theories on the Universe, its creation or development: they might prove wrong in the future, but – following the necessary abstraction and common sense – it’s not difficult to accept most individual premises and facts surrounding them. 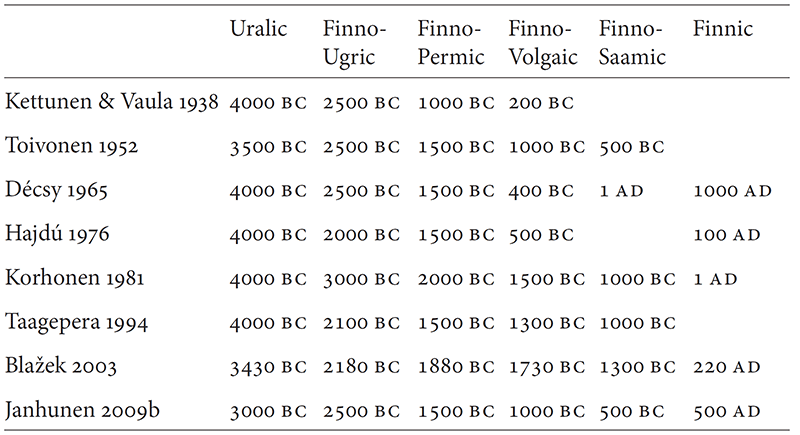 That migh be said about proto-languages like Proto-Slavic (ca. 1 AD), Proto-Germanic (ca. 1000 BC), Proto-Greek or Proto-Indo-Iranian (ca. 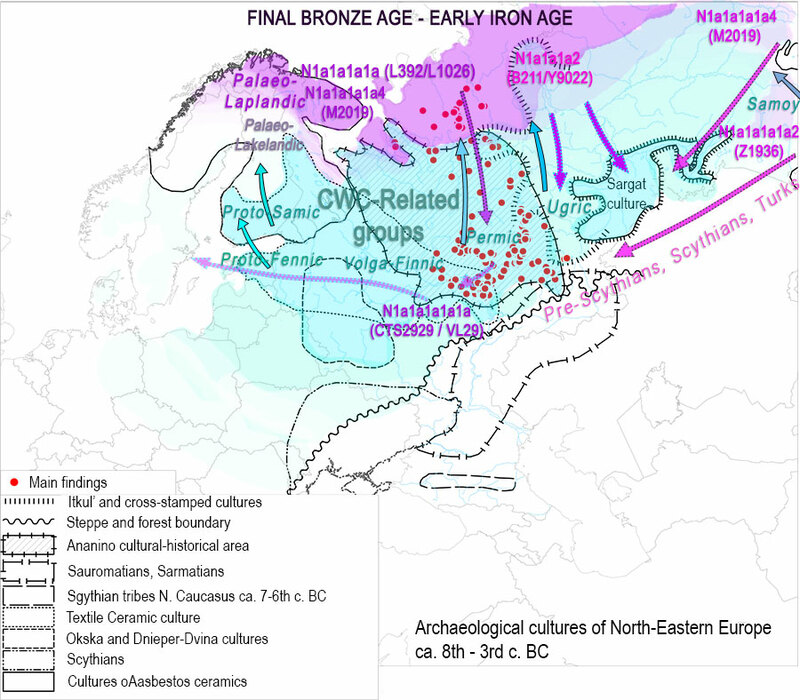 2000 BC) or Proto-Indo-European, especially about its European or North-Western subbranch (ca. 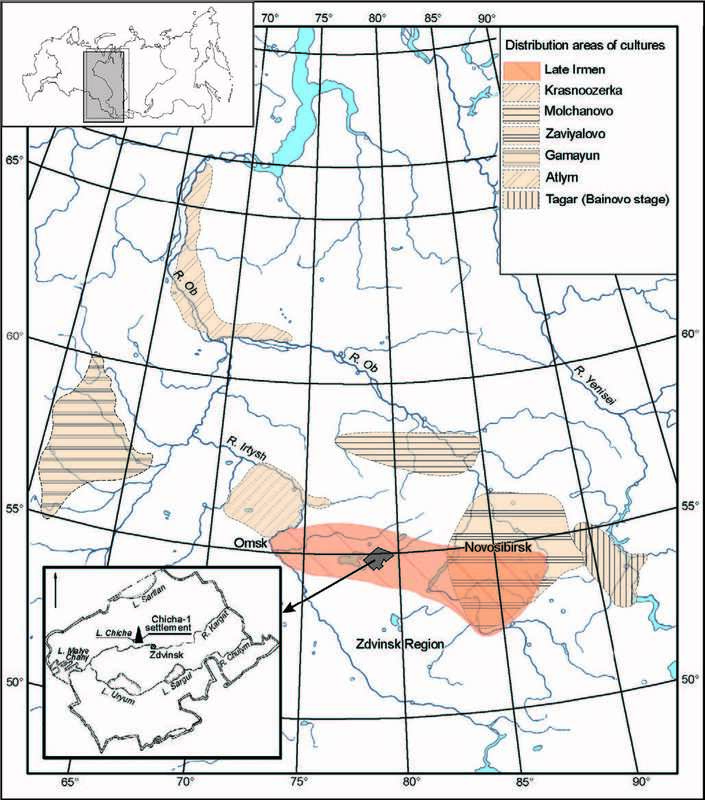 2500-2000 BC); on the other hand, however, about proto-languages like ‘Proto-Eurasiatic’ or ‘Proto-Nostratic’, or ‘Proto-Indo-Tyrrhenian’, or ‘Proto-Thraco-Illyrian’, or ‘Proto-Indo-Uralic’, or ‘Proto-Italo-Celtic’ (or even Proto-Italic), or ‘Proto-Balto-Slavic’, and the hundred other proposed combinations, it is impossible to prove beyond doubt if and when they were languages at all. 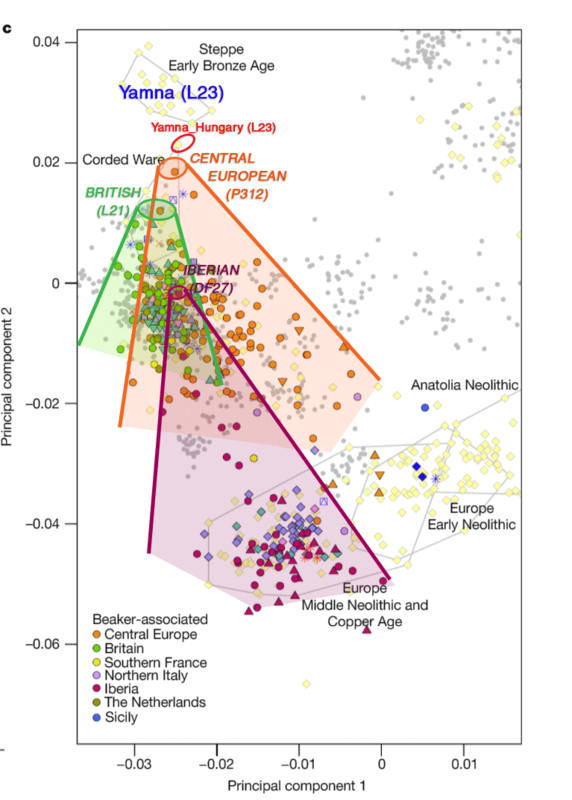 2) Is the Proto-Indo-European reconstruction trustable enough to be “revived”? i.e. can we consider it a speakable language, or just a linguistic theoretical approach? Again, it depends, but here mostly mixed with political opinions. 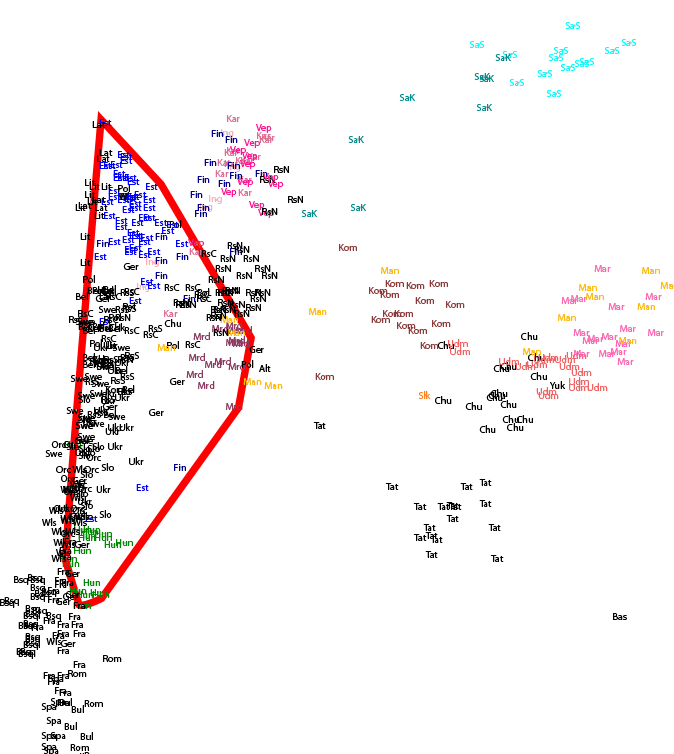 In light of Ancient Hebrew – a language that ceased to be spoken 2500 years ago -, “revived” as a modern language introducing thousands of newly coined terms – many of them from Indo-European origin -, to the point that some want to name it “Israeli”, instead of “Hebrew” (as we call MIE “European” or “Europaio” instead of “Indo-European”), I guess the answer is clearly yes, it’s possible: in any possible case, Indo-European languages have a continuated history of more than 4000 years, and modern terms need only (in most cases) a sound-law adjustment to be translated into PIE. 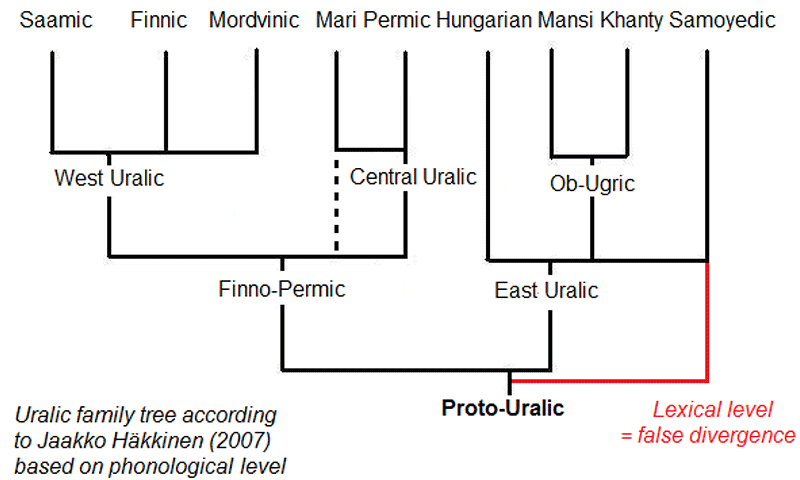 Also, in light of the other proto-languages with a high scientifical basis and a similar time span, like Proto-Uralic, Proto-Semitic or Proto-Dravidian, there is no possible comparison with Proto-Indo-European: while PIE is practically a fully reconstructed and well-known language without written texts to ‘confirm’ our knowledge, the rest are just experimental (mainly vocabulary-based) reconstructions. 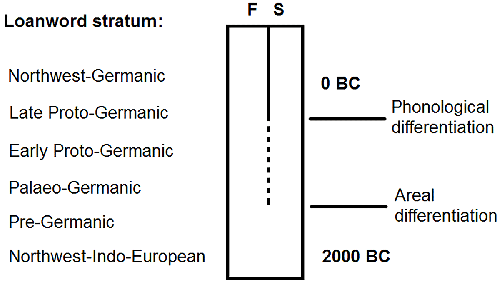 There are, thus, proto-languages and proto-languages, as there are well-known natural dead languages and poorly attested ones; PIE is therefore one of the few ones which might be called today a real, natural language, like Proto-Germanic, Proto-Slavic or Proto-Indo-Aryan. Thus, whereas some people consider PIE a natural language, confidently reconstructed, but impossible to speak today because of political matters, others just consider it another invention, nothing different from Esperanto, while Esperantist talk about it as a “worse” or “more difficult” alternative to it: you could nevertheless find all opinions mixed together when it comes to destructive discussions, as the objective is not to defend an own rational and worked idea, but simply to destroy the appearance (or likelihood, in sophistic terms) of the rival’s idea. Be it anti-Europeanism, anti-Indo-European-reconstrution or anti-everything-else-than-Esperanto, you don’t have to defend your position: just repeat your known anti- cliches, and you’ve “won”. Apparently, at least. Cicero noted what Greek rhetors already knew before about usual debates, and how arguments should be made and countered so that no idea is left accepted. In that sense, discussions were (and are) generally so unnecessary, that the Socratic Method seems to be still the best philosophical approach to discussions, even those concerning scientifical (i.e. “most probable”) facts: Instead of arriving at answers, non-expert (and often expert) discussion is used to break down the theories others hold, not “to go beyond the axioms and postulates we take for granted” and obtain a better knowledge, as Greek philosophers put it, but just to destroy what others build up. 1) Demonstrate the falseness of a part of the rival’s argument; then, infer the falseness of the whole reasoning. For example, let’s say Gimbutas’ view is out-dated, or that we at Dnghu included something considered nowadays ‘wrong’ in our grammar: then PIE revival is also mistaken; nothing more to explain. Or, let’s say that Hebrew revival is not “equal” to a proto-language revival, and that therefore the comparison is ‘false’ – even if comparisons are there to compare similar cases, not “equal” cases, which would be absurd – then, the whole PIE revival project is ‘equivocal’ or ‘absurd’. That’s the view about PIE revival you can find in some comments made on American blogs out there. 2) You can also confirm a part of your rival’s argument, and then, by doing it, carry that argument to its extreme, to the extent that the consequences of it are intolerable, and the paroxism completely distorts your rival’s argument. That’s more or less what I usually do when confronting conlanging as a real option for the European Union, by saying “OK, let’s adopt the ‘better’ and ‘easier’ language: first Esperanto, then the “better” and “easier” Esperanzo, then Lojban, then Pilosofio, then Mazematio, etc. etc. ad infinitum” – so, as a conclusion, one might accept that “better” and “easier” are not actually good reasons to adopt a language; hence the arguments based on “better” and “easier” cliches are opinion, not ratio. 4) The fourth is actually only a minor method derived from the third, used in desperate cases, which consists on taking a sensible, emotional example of the consequences of the generalization of the rival’s argument, to demonstrate the moral baseness of the one who defends it; then, if he is discredited, his argument is corrupted, too [see point 3]… That is what some desperate people do when saying that PIE revival for the EU is “bad” (or “worse”) for non-IE-language-speakers like Finnish, Hungarian, Estonian, Basque or Maltese peoples. In fact, anyone who had taken a look at our website, or had made a quick search about me, would have found that I began this project of PIE revival to defend European languages (at least minority languages, as national or official languages are already well protected) against the European Union’s English officious imperium and English-German-French official triumvirate. Also, if we left PIE revival, only some languages (the official, i.e. national ones, 25 today) would get EU support, while the rest just die out or resist with some regional or private support. 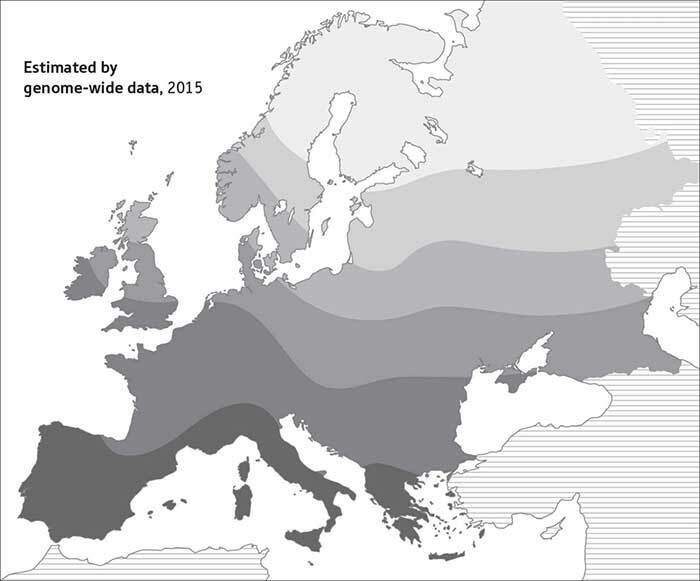 With Modern Indo-European, on the other hand, there will only be one official language supported by the European Union, and the rest really equal in front of each other and the Union, be it English, Maltese, Basque, Saami or Piedmontese. Nowadays, English is the language spoken in institutions, Maltese has an official status before the EU, while Saami is official in its country, Basque is only official in its territory, and Piedmontese, Asturian, Breton, and the majority of EU regional languages are only privately and locally defended. Nevertheless, one only has to say “supporting Indo-European is what Nazis did, PIE revival is racist and wants to destroy non-Indo-European peoples and cultures”; and, there you are: nothing proven, nothing reasoned, but the simplest and most efficient FUD you can find to counter the thousand arguments in favour of this revival project. Something valuable for life I learned from psychology (possibly the only thing…) is about Chomsky’s reaction on Skinner’s comments: my professor (close to Freudian psychoanalysis), who told us the story – I hope I got it well, I cannot find it out there – thought it was Skinner who “won” the debate, by answering to Chomsky’s criticism, who in turn had criticized Skinner’s work, Verbal Behaviour, for his “scientistic”, not scientific, concept of the human mind. In fact, the younger Chomsky had just applied science to psychology (a need that psychology still has), simplifying the understanding of mind with a strict cognitive view, and criticizing some traditional views that psychologists accepted as ‘normal’. Skinner and those who followed his behavioural school of thought overreacted, mostly based on the belief that Chomsky’s reasons were against their lives and professional options, when in fact reason and opinion are in different planes. Chomsky, instead of entering the flame (yes, trolling existed back in the 60’s) did nothing. When asked years later, about why he didn’t reply as expected to all that criticism, he just said: “they missed the point”; he said what he had to say, criticized what he wanted, proposed an alternative, and left the discussion. And still, even by not answering, cognitive revolution provoked a shift in American psychology between the 1950s through the 1970s from being primarily behavioral to being primarily cognitive.